Electrolysis vs Laser Hair Reduction- Which is a better choice for safe and effective permanent hair reduction? What is electrolysis for removal of facial unwanted hair? Electrolysis is a medical treatment for removal of unwanted hair. It involves the introduction of a fine needle into the hair follicle and passing an small current through it, destroying the hair follicle and root structure permanently. This can be a treatment for both grey and black hairs, and can be used to treat both thick and thin hairs. How safe is electrolysis for removal of facial hair? Electrolysis need to be done by a trained practioner. Usually an skin numbing cream is applied over the area of treatment. A fine needle is introduced into the hair follicle and the current is passed. If done incorrectly, electrolysis can cause pigmentation and scarring. Make sure to do a test patch before starting the whole treatment. Electrolysis or Laser for permanent hair reduction- Which is better? Electrolysis is a treatment which targets individual hairs whereas laser can treat many hairs at the same time. For example, a typical treatment for a laser of the chin area would take about 10 mins, but would take more than 30 mins with electrolysis. 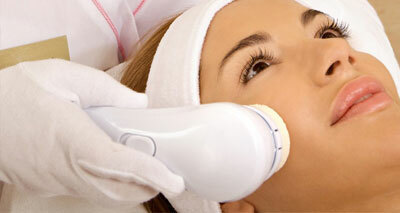 Laser is also less painful, less expensive and needs lesser number of sessions as compared to electrolysis. However, electrolysis can treat grey hairs, but lasers cannot treat grey / white hairs. How can I get rid of grey hair over my chin area? Electrolysis is a good option to treat grey hair. In this treatment, individual hairs are removed with the use of an electrode which destroys the hair follicle. Multiple sessions may be needed for full removal. Read more about Laser Hair Reduction.